The idea behind the Superior Spider-Man saga is that Dr. Octopus somehow manages to transfer his consciousness into Peter Parker’s body, thus replacing him as NYC’s defender. I have not yet read the story arc, but I can tell that this is a really nice action figure to have. 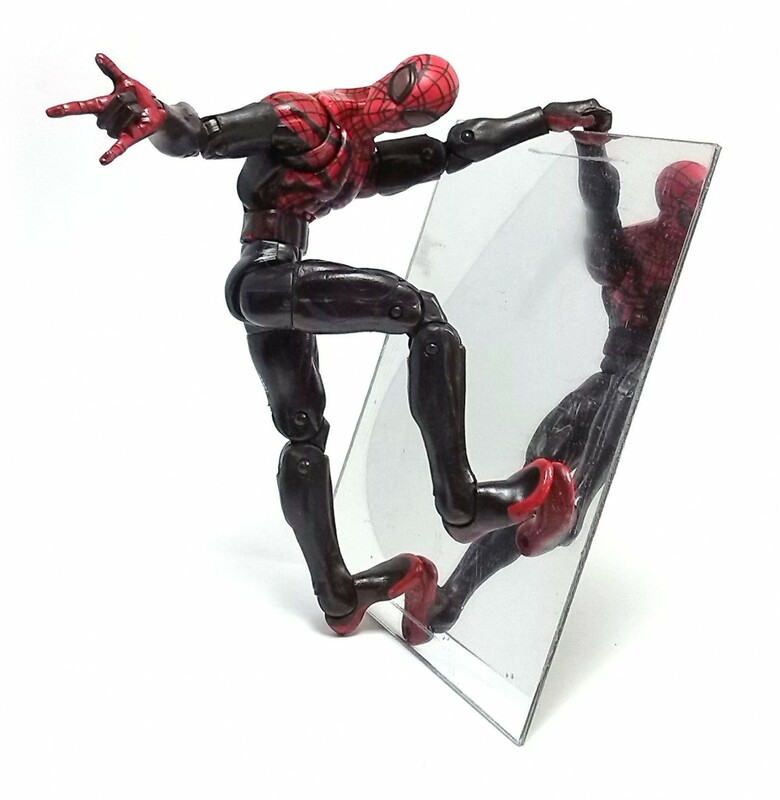 The figure is a newly developed mold entirely; the suit lacks textures but it displays rather distinctive details sculpted in, like the smaller, thicker-frame eye-lenses and the small “hooks” sculpted onto the tip of its fingers. The whole articulation design works wonderfully and each joint is firm enough to hold any pose. 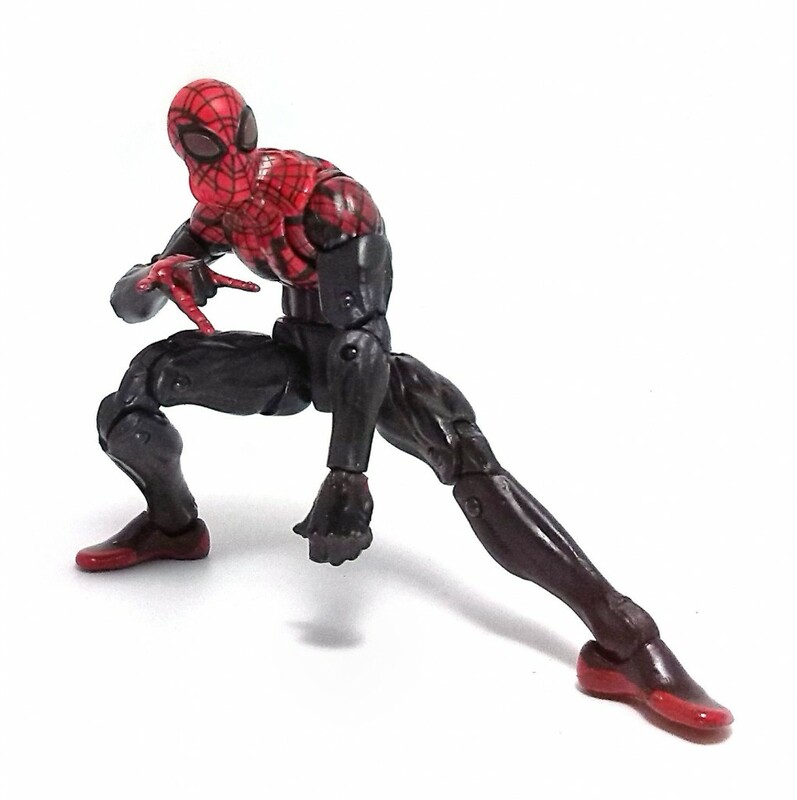 Superior Spider-Man has a very distinctive uniform, so the figure comes molded in black and red plastic. Funny thing, at first I passed on buying this figure because I saw that the lines painted on his mask were misaligned but as it turns out, the misalignment is intentional and a trait meant to symbolize the fractured psyche within. The paint applications are good, although there are some coverage issues with the black sections on the torso, as there are some red spots in the deeper cuts on the figure. 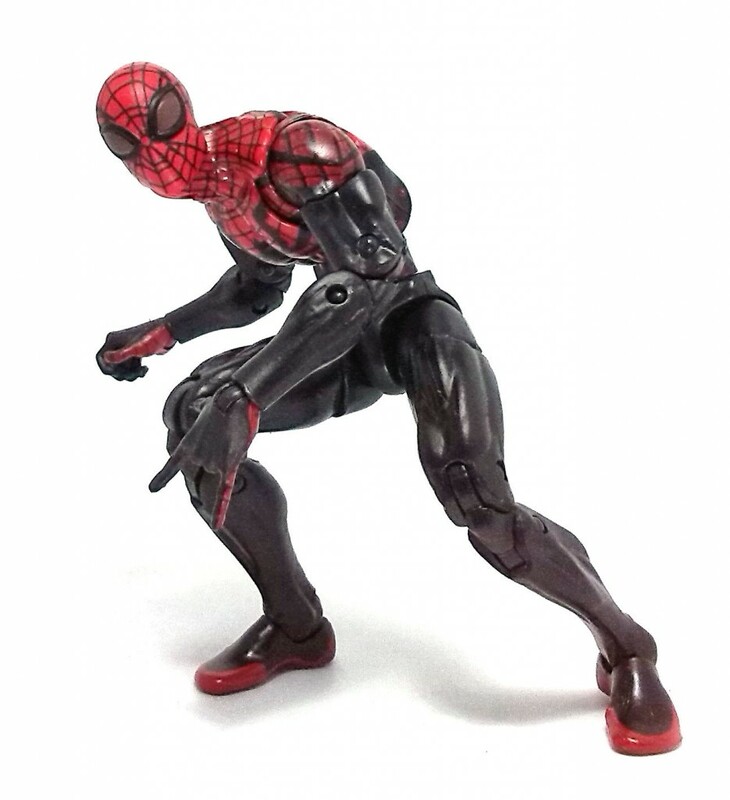 Similar to his Amazing version, this Spider-Man comes with an alternate set of hands as well as a web-shooting pair. This time around, the extra hands are not of the punchy persuasion, but actual grabby hands that I find a little bit more useful. 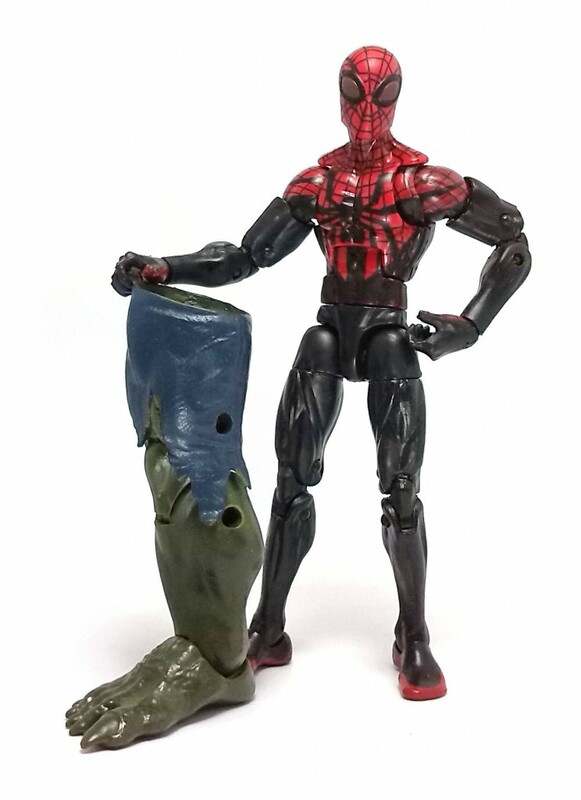 Lastly, Superior Spider-Man also comes with a piece to complete the Ultimate Goblin Build-A-Figure; this time it is the right leg. 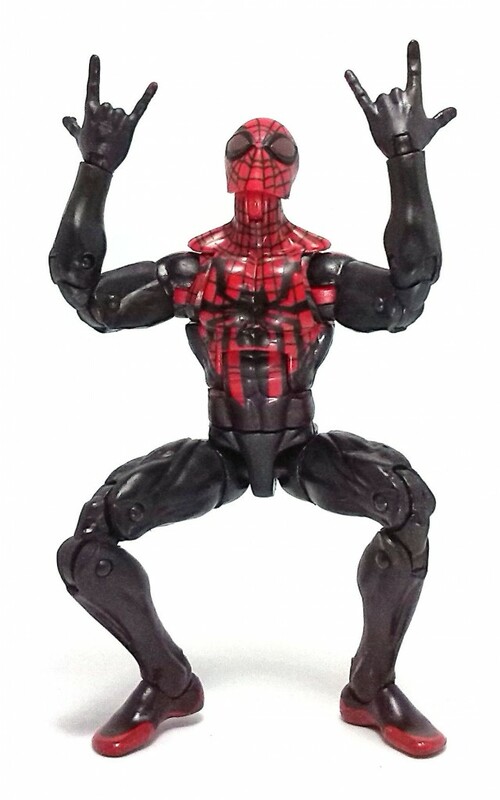 Out of the two Spider-Man figures that came out in this assortment, I must agree that this is, in all the sense of the word, the Superior one to get.